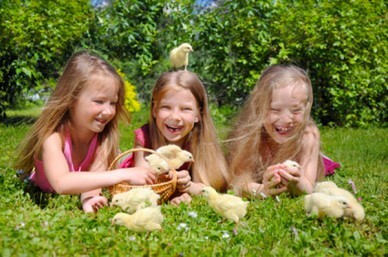 With two weeks to fill Pocket Farm presents a selection of ideas for outdoor and animal related fun to keep you and your youngsters as happy as Larry the Easter lamb. Farmyard Funworld – Easter Festivities! Outdoor fun with your children – creating with natural materials, building shelters and even cooking at a private wood near St Albans. Lots of drop in activities at the Mill Green Museum including making Easter buns on 2nd April and creating a Japanese miniature garden on the 3rd. Buns £1 each with other drop in activities £3 per child. One adult goes free with child/children. Two hours of indoor 3D target shooting fun. Learn the basics of shooting, scoring and safety from our experienced instructors and then see how you score on the 30 target course. All equipment provided! £15 for the first child, £9 per each additional child. Open throughout Easter so why not take on the Aerial Adventure course or one of the many other have-a-go activities available. Choose from shooting, target paintball, axe throwing, archery, the big zip wire or take a ride on the physics defying Segways. Special offers available, see website for full details. Various prices. Where: Ardeley nr Steveange, www.churchfarmardeley.co.uk Tel: 01438 861447.